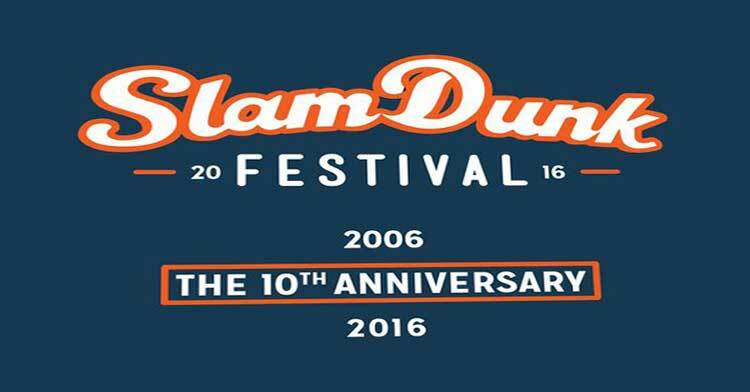 Slam Dunk have finally announced the first lot of bands for their 2016 festival lineup, which includes Panic! At The Disco, Of Mice And Men and New Found Glory. Next year will be the 10 year anniversary for the country wide festival so a lot of people were expecting big things for bill this year. “10 year anniversary and Panic! At The Disco are headlining really? Cant help but feeling massively let down!”. Commented one of the festival goers on the announcement page. It is fair to say that there has been a very controversial response from the lineup, a lot of people were very underwhelmed. Also announced so far are regulars Four Year Strong, Every Time I Die, Memphis May Fire, Real Friends and Issues, along with 40 more bands that are yet to be announced and added to the bill. Slam Dunk will kick off in Leeds City Centre on May 28th, then Birmingham NEC on May 29th and finishes at the University of Hertfordshire on May 30th. Tickets are available Monday 30th Novemeber.